Many people now rely on their GPS navigation system to help them get around unfamiliar territory, making holidays better planned and more fun in the process. The Neo N7 GPS navigation system is different from the rest of its brethren as it uses 3D rendering to help you get a better grasp of your location. Granted, there are certain segments of the population who are extremely poor when it comes to reading maps, which is exactly why a 3D version would greatly help in getting one’s coordinates before moving on to the next point of interest. Some of the Neo N7’s features include a large 7″ TFT color display which can show up to 16,000 colors, which falls short of them standard 65,000 colors on other comparable devices. The resolution of 800 x 480 pixels make it great for watching all your favorite movies and videos which are stored on an SD/MMC card. 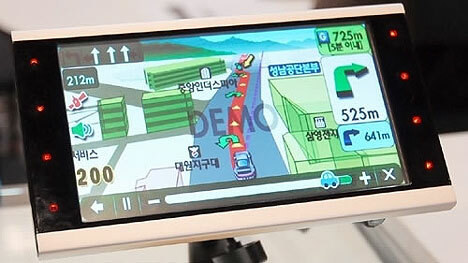 Underneath the aluminum casing also lies a SiRFStar III GPS chipset and a dual core CPU which might look like overkill at first glance, but upon further probing, one realizes that displaying maps in 3D is no mean task. The presence of a dual core processor also means the consumer will have to fork out presumably more money to obtain a Neo N7, which could potentially alienate prospective buyers. Powered by the Windows CE 4.2 operating system, the Neo N7 doubles up as a Microsoft Office document viewer courtesy of the generous screen. In case you run out of ideas for songs, the FM transmitter will be a welcome addition.